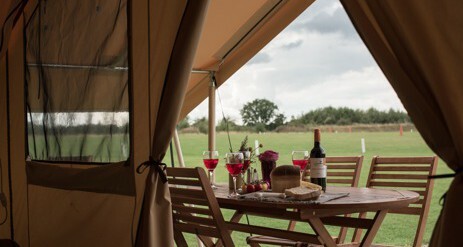 The best in glamping, our tents at Moreton Ready Camp in Dorset offer a wonderful balance between contemporary and outdoor living. 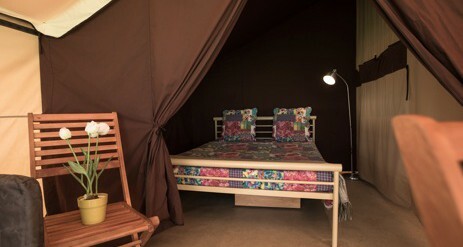 Glamping in Dorset takes the strain out of camping with furnished tents, proper beds, a dining area and much more. Moreton is the gateway to Dorset’s famous beaches, downlands and heaths. 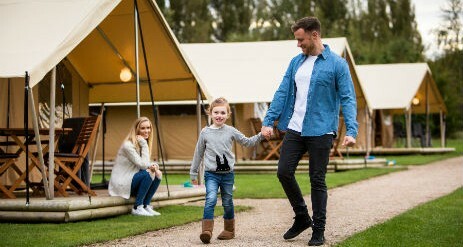 Drop your bags at our beautiful glamping campsite in the heart of Wessex and get settled at your own luxury safari tent, where snug furnishings and homely comforts come as standard. 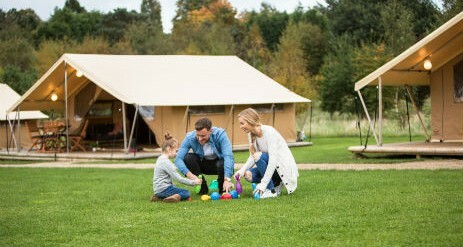 Moreton is a great glamping campsite for families with a children’s playground and designated area for ball games. After exploring with the children how about a hearty meal at the next door pub? After that, relax on your own decked balcony! This is a cracking spot and you can easily hop on a train for a day trip to Bournemouth, Weymouth or Poole. Nearby Dorchester is just a fifteen minute drive and well worth a visit, with its many attractions and independent shops. Moreton itself is a village half-hour walk away. It’s a pretty place with links to Lawrence of Arabia who is buried in the church grounds. Follow the Lawrence of Arabia Walking Trail and explore the village and local area including Clouds Hill, Moreton Church, Bovington and Lawrence’s grave. This restful little spot has a tearoom in the old school, a farm shop with cafe and a beautiful walled garden. 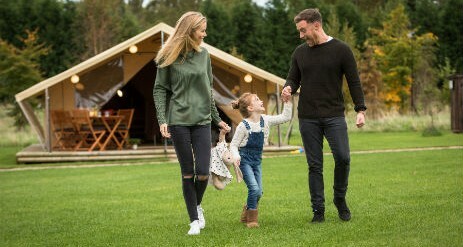 Moreton Campsite comes with toilets, showers, washing-up and laundry amenities, a children’s playground and an on-site holiday manager. 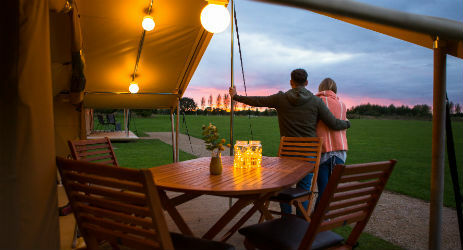 Moreton Campsite is surrounded by Areas of Outstanding Natural Beauty and is within an easy drive of Dorset’s famous beaches. Head south for Dorset’s glorious coastline including Weymouth, Lulworth Cove, Osmington Mills, Ringstead Bay and the blue flag beach of Swanage. The famous fossil beaches of Lyme Regis are about an hours drive away. Monkey World in Wareham is a popular attraction and is home to over two hundred and fifty rescued and endangered gibbons, orangutans and chimpanzees. Maybe castles and romantic ruins are more your thing and if so head to dramatic Corfe Castle with it’s spectacular views across Purbeck. Continuing the battle theme, youngsters and big kids alike will love the Tank Museum in Bovington.